Nothing is more important than knowing the time your team is spending on social media is generating leads and profit. Because Oktopost integrates seamlessly with third-party CRM and marketing automation systems such as Salesforce, Marketo and Act-on, leads generated on social media go directly into the top of your sales funnel. When it comes to the bottom line, follows and retweets are not the most important KPIs (Key Performance Indicators) to track. They may or may not impact lead generation or sales. By creating a method to determine which social media touches are generating leads that convert, Oktopost can be used to focus activities where they count. Go beyond measuring social media interactions and focus on sales wins instead. In the past, there was no way to project or measure the value of your team’s actions to your bottom line. The expanded Oktopost Social ROI feature now includes the ability to assign a monetary value to each type of lead coming from your social media posts. Using tags to differentiate between types of leads, each source can be assigned a different monetary value in your choice of currencies. Over time, Oktopost will reveal which sources generate the most qualified leads. For example, someone filling out a contact form for your latest white paper may end up being worth $40 to you while another lead downloading a case study could be assigned a worth of $20. Participants in a webinar might be worth $80. As you can see in the image of the Oktopost Social Dashboard above, the visuals are similar to any analytics dashboard. See an overview of the entire campaign at a glance by organizing activities into campaigns. Click into each campaign for detailed metrics. Now it is possible to know which social media platforms generate leads your team can close. Once you know that a particular Facebook group, for example, consistently provides actionable leads, it makes sense to make it a priority. If another group fails to provide qualified leads, it can be removed from your social media strategic plan. Accurately measuring where your social leads originate saves staff hours by eliminating activities that are not driving sales. Team members can either focus on the most productive areas or reassigned to reduce social media management costs. Never run out of leads by integrating all your social activities and using them to fill your sales funnel in Salesforce, Marketo or Act-on. Get insights with every social touch your sales team can use to close the sale. Leads generated by social media activities are synced between Oktopost and Salesforce.com. Detailed information on the source of the lead is added to ‘Leads’ or ‘Contacts’ in Salesforce. Get maximum value from Salesforce by giving your sales team more information about each lead. Details pulled from Oktopost appear in Salesforce reports, providing accurate social media ROI statistics and metrics from “source to sale”. Oktopost also integrates seamlessly with Marketo to provide details on which social shares on which platforms generated the lead. By connecting LinkedIn profiles with leads, your sales team receives a wealth of information including each potential buyer’s background, work experience, and title. Marketo supports setting up workflow triggers to catalog leads into social media buckets. Sorting leads by title can surface high value sales targets with decision-making authority. Enrich your social selling by discovering which social platforms, profiles and social media activities each lead engages with by integrating Oktopost data with Eloqua. Leverage this data to identify the hottest leads most likely to buy. Oktopost’s social lead scoring allows you to segment and prioritize leads. Integrate Go to Webinar with Oktopost to identify both buyers and new advocates for your brand. Measure what is working to get stronger results from every dime spent in social. Enhanced Lead Insights increase conversion rates. With one click, your sales team can access each social media account a lead has used to interact with any content your team has shared. This provides even more insights your sales team can use to increase the number of wins. By leveraging third party integrations, social activities can support your sales team by showing them which leads are most qualified. Funnel the hottest leads into Salesforce, Marketo, Eloqua or Act-on. All of the data collected by Oktopost is synced into the third-party CRM or marketing system, supporting your sales team’s efforts to remarket and follow-up to turn those leads into sales. Segment your social media leads into smart lists, and use them to create unique landing pages and e-mail nurturing campaigns. What really matters is converting leads; all the leads in the world are worthless if sales doesn’t convert them to paying customers. What could be better than converting more leads? How about a powerful new method for filling your sales funnel by amplifying your reach? Using the Oktopost Advocacy board turns employees, partners, sister companies, distributors and influencers into amplifiers or your brand messages. Control your brand image by having your marketing team create posts within a campaign. They pin select posts onto a board and invite others to share by adding their name and email address. Participants can simply click to send your message to LinkedIn, their followers on Twitter and Facebook, and even into a huge group they are active in on Facebook your marketing team hasn’t identified or been active in. Instead of just your marketing team promoting what you share, they can grow an army of free shares for whatever is most important to your team. Anyone who connects one of their social accounts will be able to see the other messages, encouraging them to connect and share on all the other social platforms. Campaigns can be created in advance and will automatically be sent to that army when the first message goes live and fed to them consistently throughout the campaign – generating momentum that can send your message viral. At the end of the campaign, related posts automatically clear from the sharing board. Advocates are notified when new content is shared. They are even sent canned messages reminding them they haven’t shared recently to make participation a habit. Leverage this untapped reach and maximize your profits. B2B is not as naturally organically viral as B2C. Without advocacy, your social media strategy is incomplete. With it, you dramatically multiply your brand’s visibility to the exact target audience you wish to reach. Turn sharing your message into a game for employees with a reward for the person who shares the most or generates the most leads. Spending a few thousand dollars on a trip to the Caribbean or flashy new tech can be used to generate tens of thousands of dollars of sales per month or quarter. You and every person your team recruits to share can see the number of shares and clicks, but not conversions, all the others are driving. By making this public, the most competitive of those involved will work harder on your behalf. It is erroneous to believe that only people with tens of thousands of followers are your best lead generators. Niche influencers with only a few thousand followers can often drive leads who are ready to buy on their recommendation. Is it worth paying influencers to promote your brand, and if so, which influencers are worth paying? 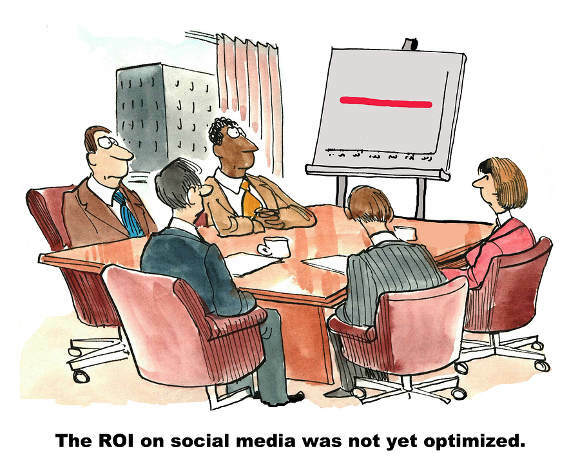 With Oktopost Social ROI metrics, know exactly whether they drive qualified leads or not. Stop wasting money on influencers whose followings are not buying. Oktopost makes it easy to find relevant content created by thought leaders and other brands in your industry. Use your marketing team and army of advocates to push this content in addition to your own. Sharing exceptional content can drive leads back to your brand. Oktopost can track where these leads originated even months later. Have your marketing team push 30% of your own content and 70% curated content. By identifying which content generates leads consistently, your brand can create and share more of the same type of content to drive even more leads. If your brand gets mentioned on TechCrunch, Forbes, The New York Times, or an industry publication, pushing that mention out through your advocates can generate leads indefinitely. We’d love to hear which of these new features you’re most excited to start using. If you’re not a user of Oktopost yet, take advantage of their free trial – no credit card required. Want to know more? Watch this Video Intro to Oktopost. Disclosure: While I do not personally use Oktopost, I recognize they provide features no other social media platform provides. I researched and published this information to raise awareness for those who can benefit from using them, particularly B2B businesses. This post went missing and was restored using the Wayback Machine. The original comments can be seen here.